The Future of Immigration and what it means for Event & Stadium Accreditation? There are certainly exciting times ahead. But one particularly contentious issue is immigration and how the UK gets back control of its borders. 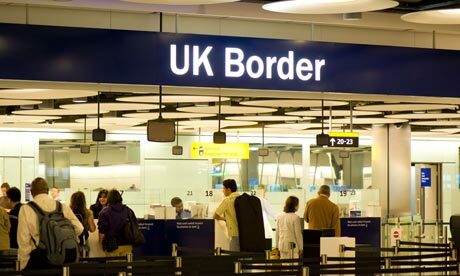 The trouble is we have all got used to travelling freely across Europe and for as long as the UK is an attractive place to come, there will be people wanting to come to the UK and take up employment. One thing you can put your money on is that Brexit-linked stories will continue to fill the pages of the newspapers and be broadcast on our television and radio channels. Immigration stories are often big news. And any business that gets caught up in one needs to be aware and alert to the consequences of potential pitfalls. Be warned. We all saw what happened to Byron Burger recently. What makes great media content can be devastating for a business’s reputation. Especially if it is shown to have simply failed to have done enough to protect itself. Realistically keeping people out of the country will not be effective. The Borders Agency will be expected to take measures to implement any changes enacted by Parliament. However you can be pretty certain that it will be complicated. There are so many options to move freely in and out of the UK. Whether immigrants can work legally as students, visitors, or on working holidays - could leave confusion all round. So what will happen? I predict the focus will move towards hitting businesses and individuals who employ people illegally. This link in the chain of anti-immigration can be most easily targeted and more vigorously enforced. The law in this area is already very brutal. A business with just one illegal worker can face a fine of more than £20,000. You can imagine the look on the face of the Byron Burger HR manager when the company realised it was employing close to 200 staff who may have no right to work in the UK. The net sum of that mistake is four million pounds! And if someone knowingly employs a person who doesn’t have the right to work they can have criminal charges brought against them. This could even mean prison! Do you know who is in your building or on your site at any given time? What levels of security do you want to achieve? Each role will require different levels of access to the business. Who sets the levels of accreditation for each role in your organisation? What levels of security check do you think is right for each role? Are you checking your staff’s right to work? What happens when that right to work finishes? It is important to bear in mind that timescales for recruiting contractors can often be tight. This can result in pressure to overlook some pre-employment screening measures, especially if it’s anticipated they will be employed for a short time. There are now opportunities for any organisation to deal with these challenges. Accreditation systems which were originally intended for conferences and events have been re-focused for sports stadia, businesses and industrial sites. These systems put you back into control of the people employed on your site. They allow you to set the standards and for the sub-contractors to take responsibility for every staff member they employ within your business. Accreditation should be a key part of protecting your business. Making your contractors comply by filling in all your staff’s right to work and security screening levels in a way that you can then check and enforce, provides security and peace of mind. Please consider the costs of being caught employing staff with no right to work in the UK. Not only the horrendous fines available but also the irreparable damage to your reputation and that of your business. Oh! and don’t forget you may be allowing a terrorist or criminal to work inside your business.